SaltGae is developing and demonstrating a techno-economically viable solution for the treatment of saline wastewater from Food & Beverage industry. SaltGae will be a case study to overcome the cross-cutting barriers to innovation identified in the European Innovation Partnerships (EIP) on Water. 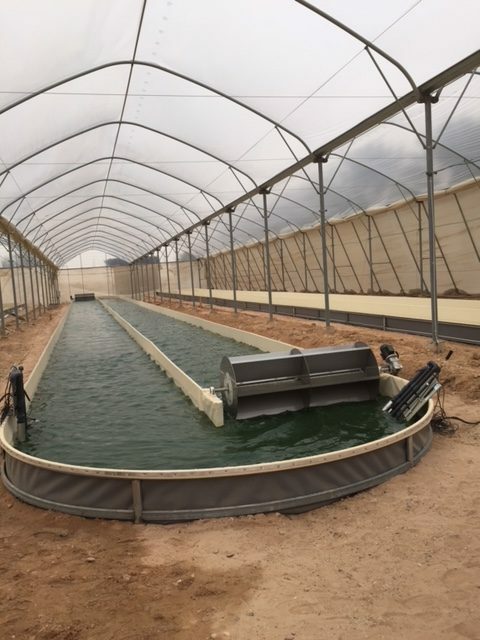 The treatment of saline wastewater in presence of organic content represents a challenge for many industrial sectors, such as food processing, leather, and land-based aquaculture industries. Saline wastewater is extremely difficult and expensive to treat, and its discharge represents a major threat to the environment, due to the presence of organic content suspended solids, nutrients (mainly nitrogen and phosphorus) and salt (concentrations up to 15%). Conventional wastewater treatments have proven ineffective for this kind of wastewater, as the bacterial processes typically used for the elimination of organic matter and nutrients are inhibited under high salinity contents. Therefore, generally combinations of biological and physicochemical methods are used which greatly increase the costs of the treatment, making it unaffordable for SMEs, who voluntarily decide not to comply with EU directives and discharge without prior treatment, causing severe damage to the environment. Saltgae is developing a techno-economically viable solution for the treatment of saline wastewaters and has established three DEMO sites for the real scale demonstration of sustainable and eco-innovative modular-based technology platform. DEMOs are taking place in Slovenia (treatment of tannery WW) Italy (whey WW) and Israel (aquaculture WW). Saltgae is developing an innovative platform for the mobilization and networking of stakeholders from all the different sectors related to wastewater, and for the dissemination of results with the aim of promoting paradigm shift in perception from ‘wastewater treatment’ to ‘resource valorisation’. Creation of new market opportunities, based on the valorisation of sludge, effluents and biomass. Resource efficiency and environmental performance.